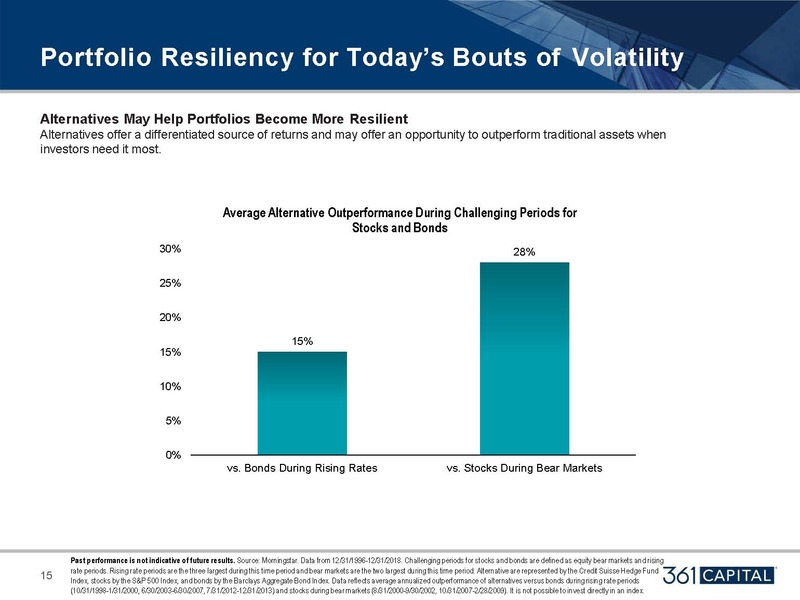 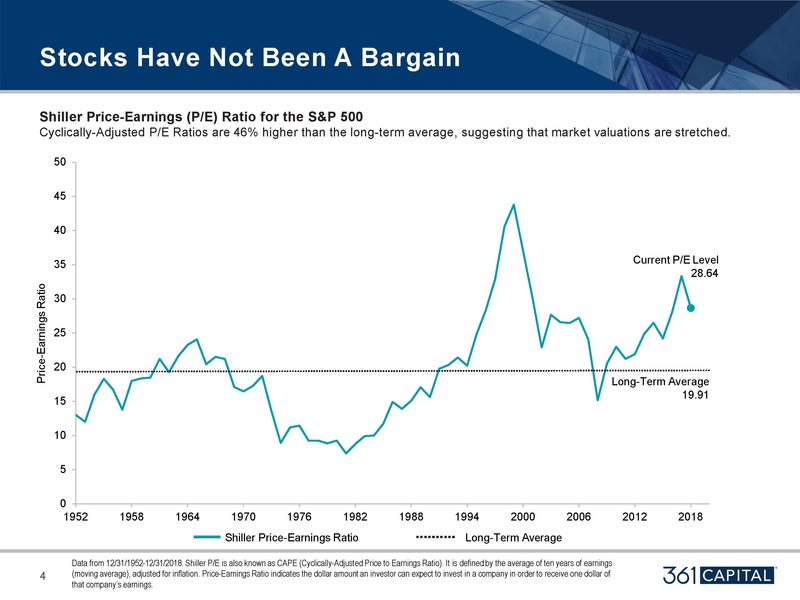 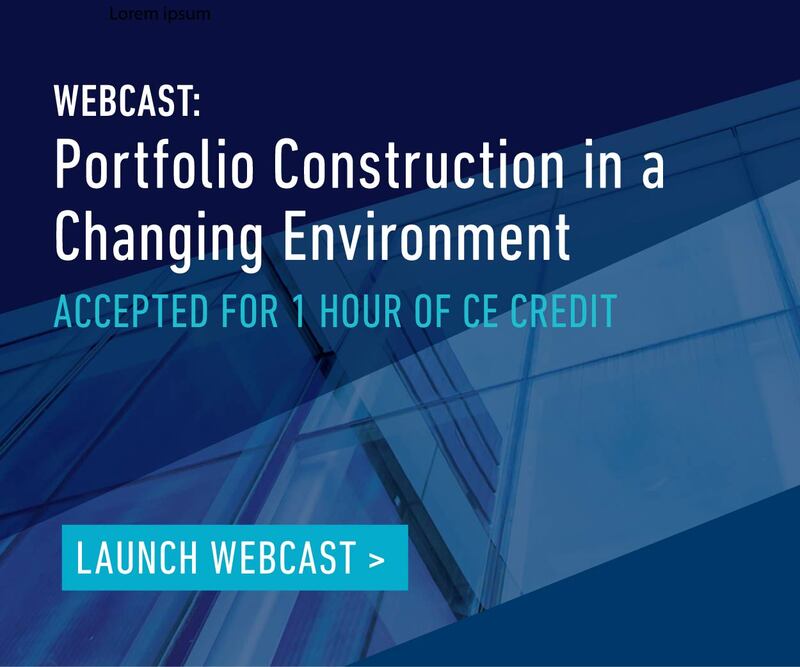 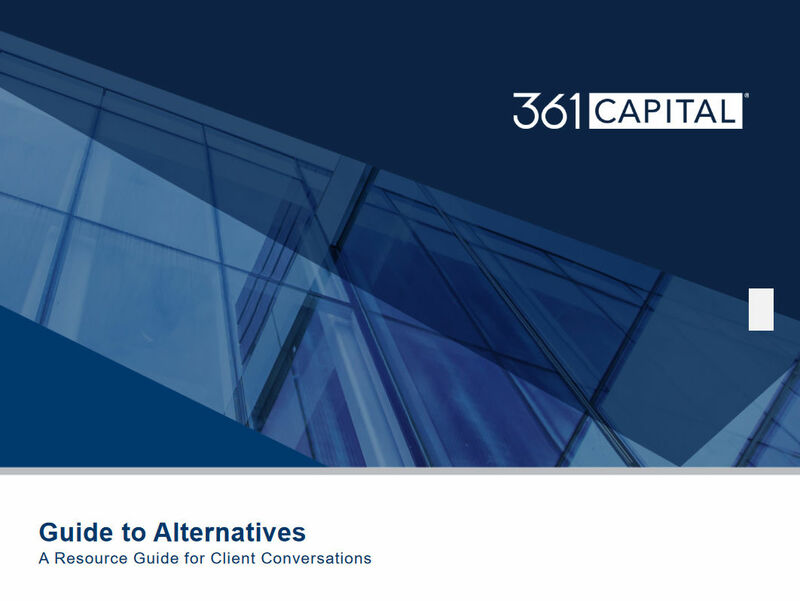 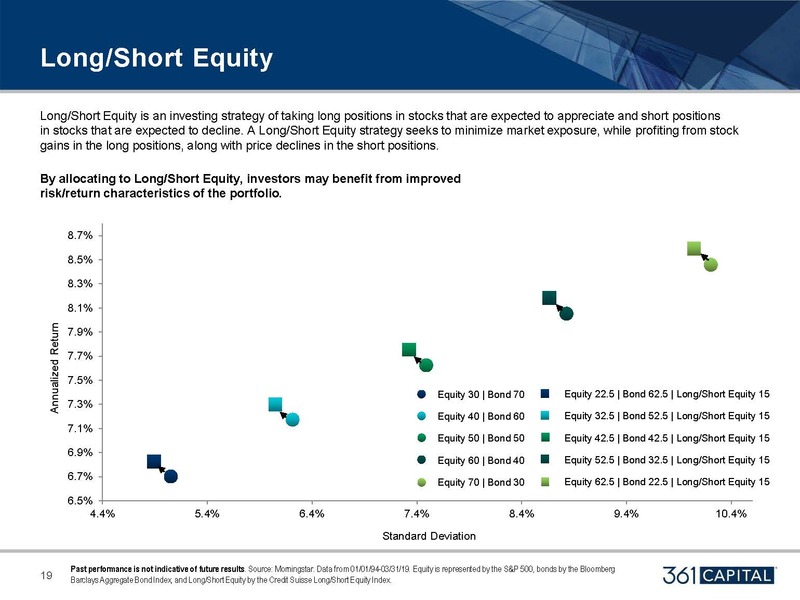 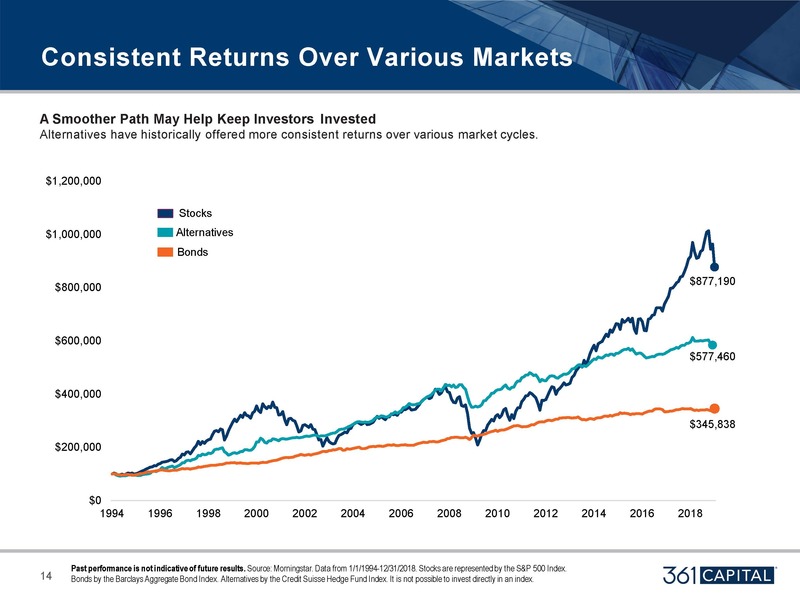 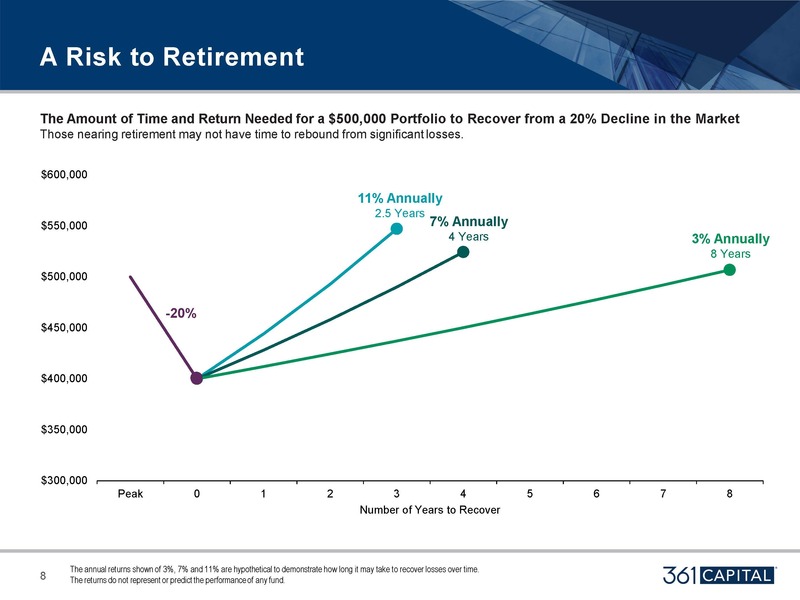 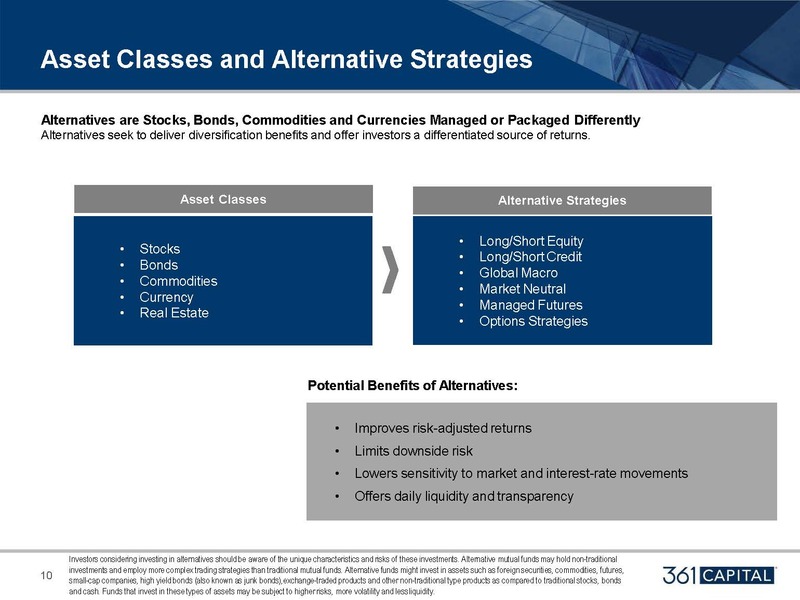 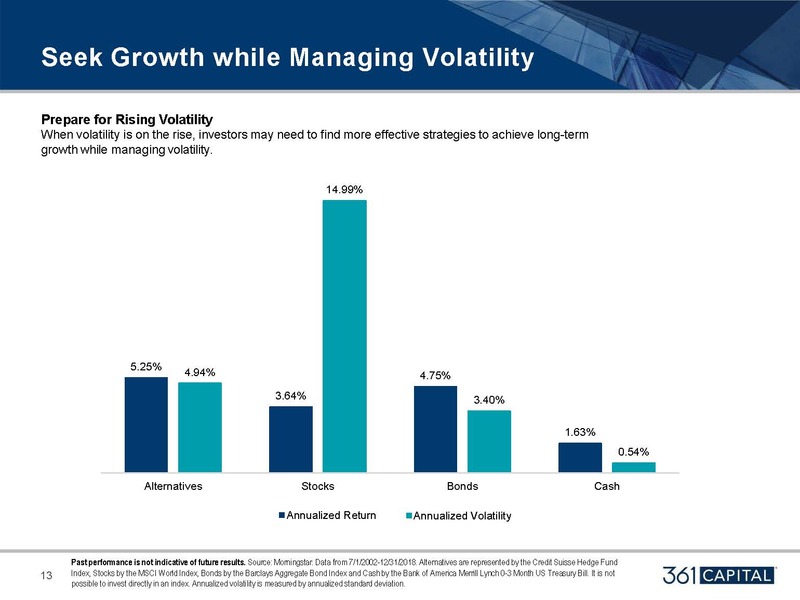 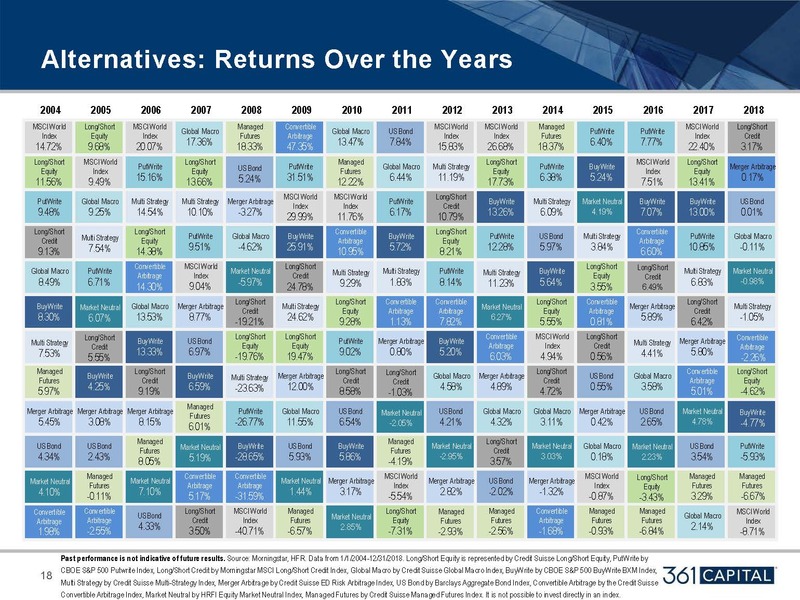 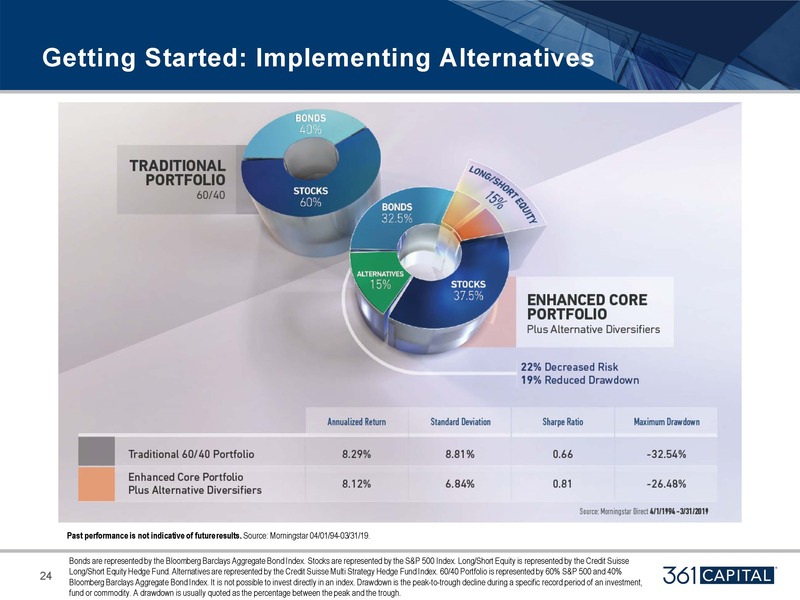 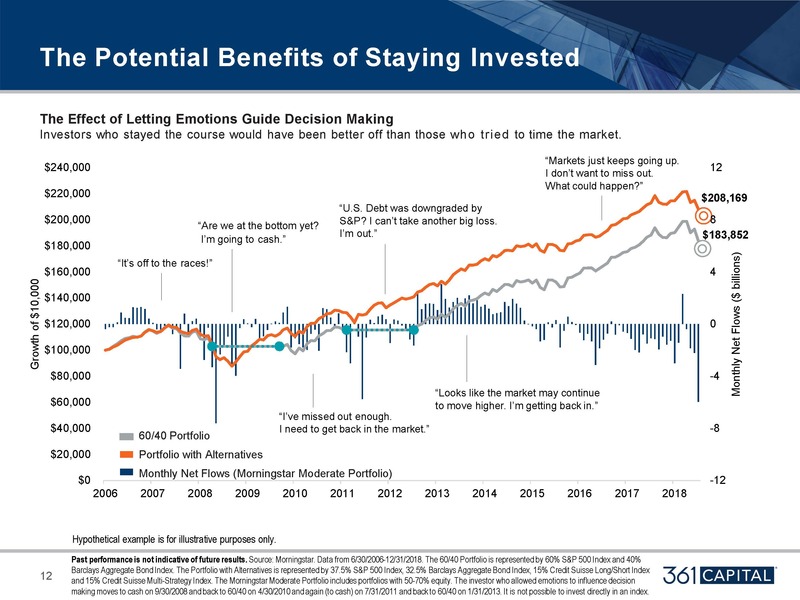 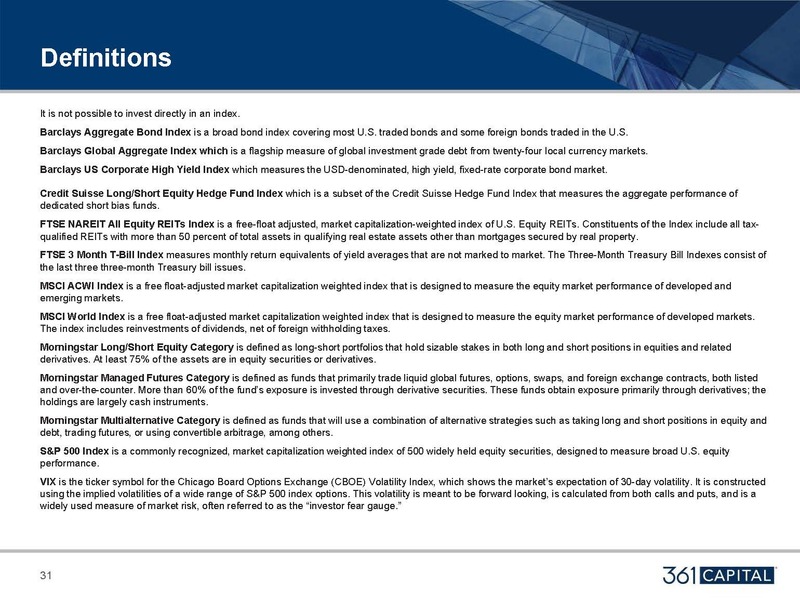 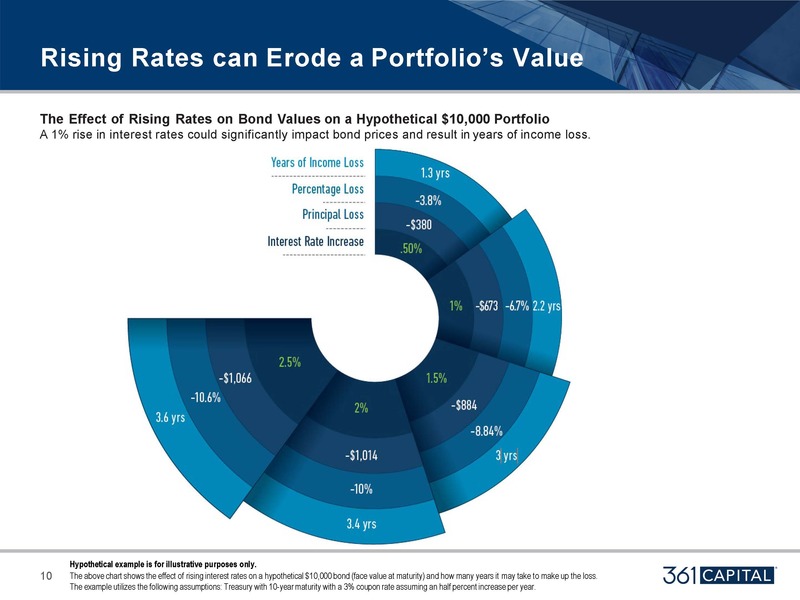 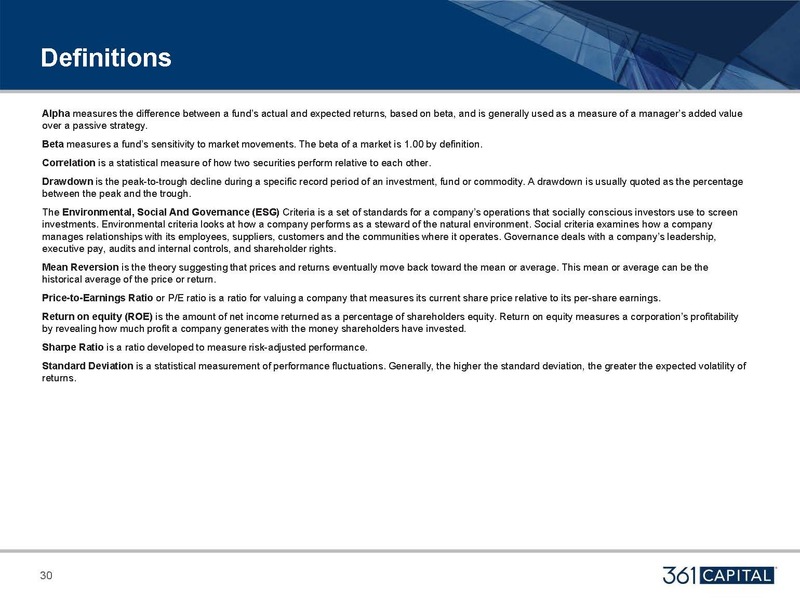 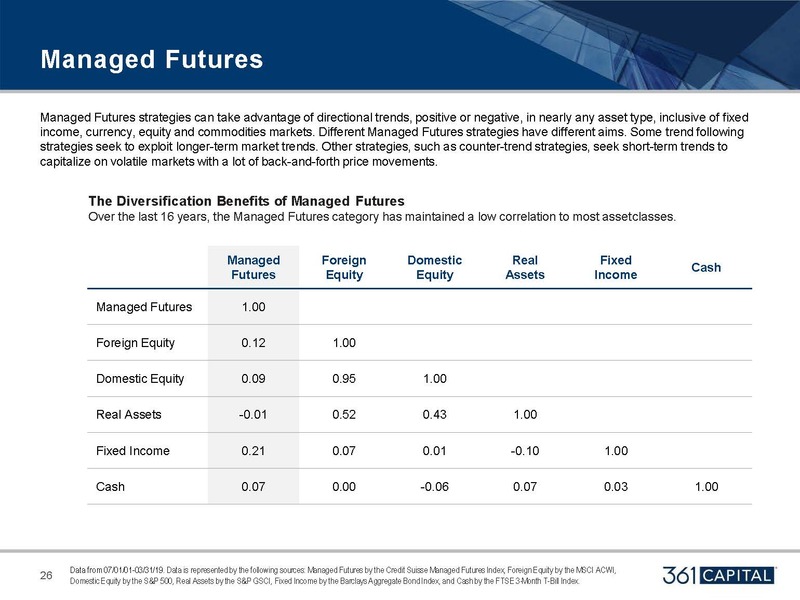 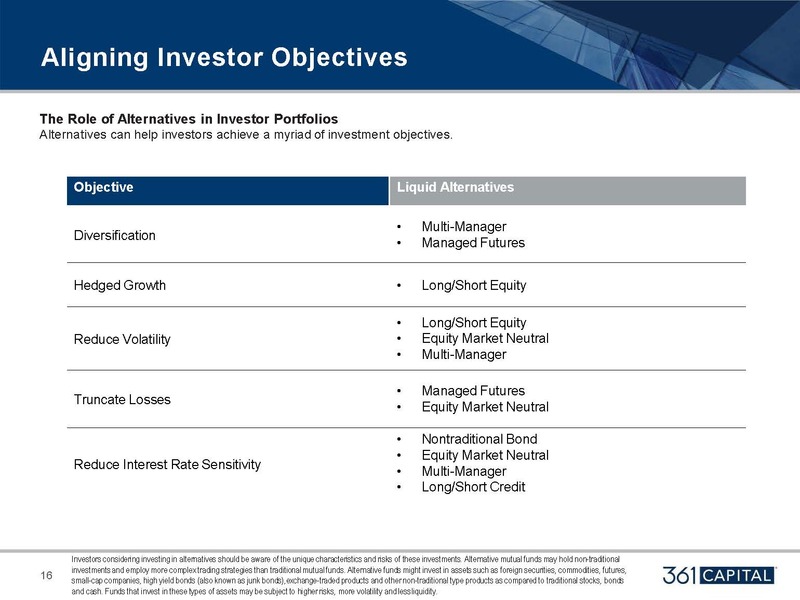 Scroll through the slides below to learn how to minimize risk and maximize returns with alternatives. 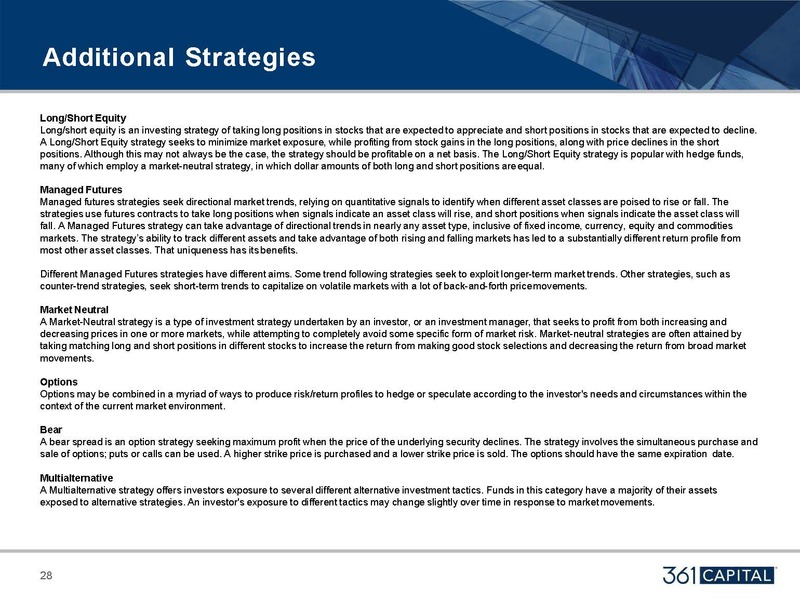 The presentation also provides helpful talking points for your client conversations. 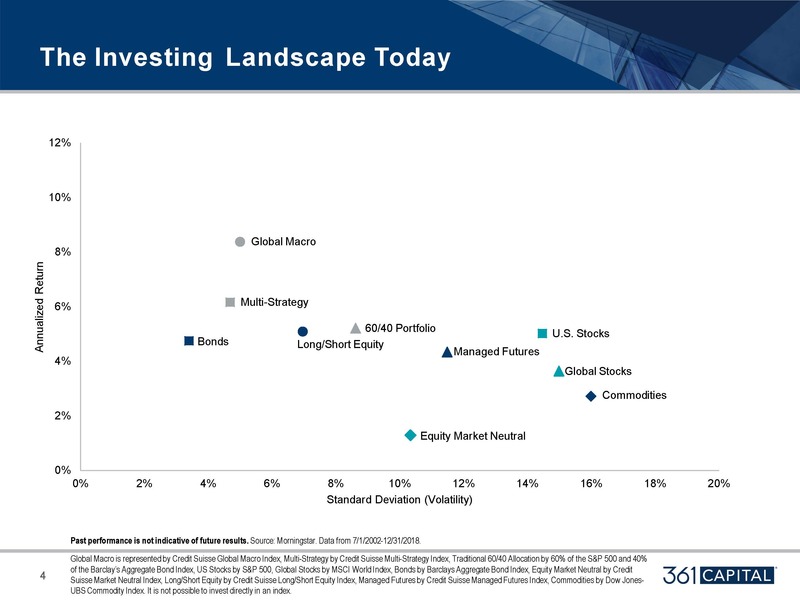 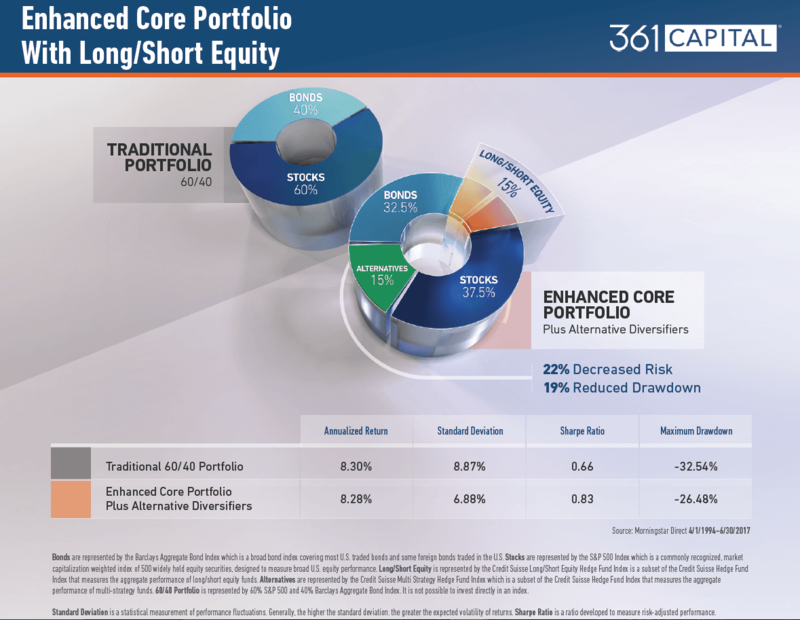 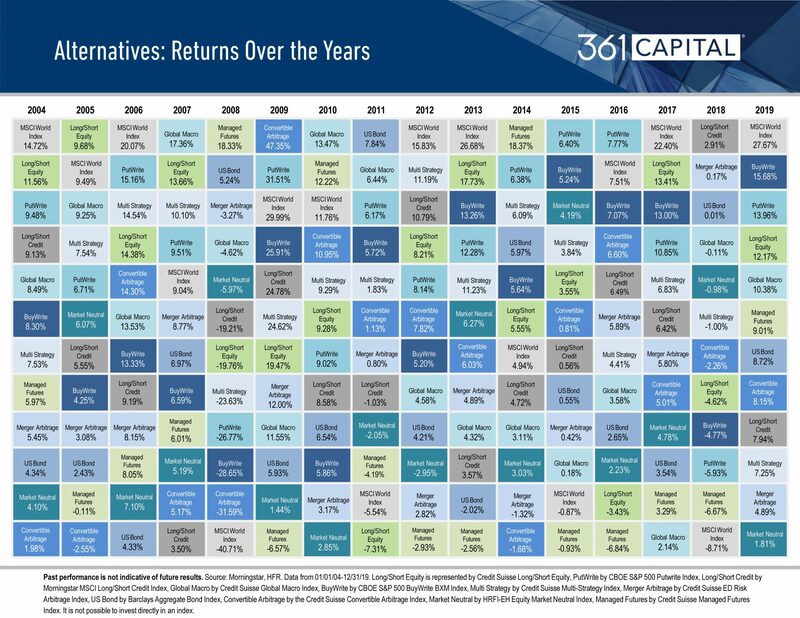 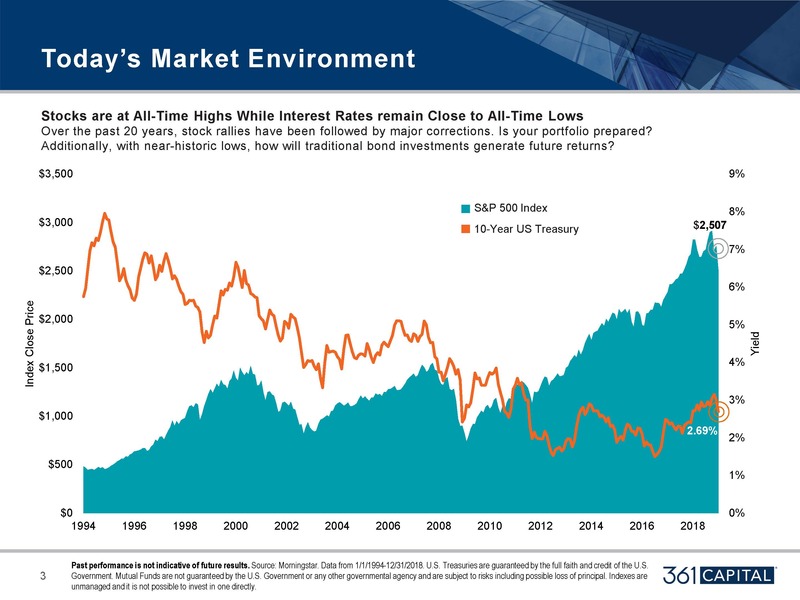 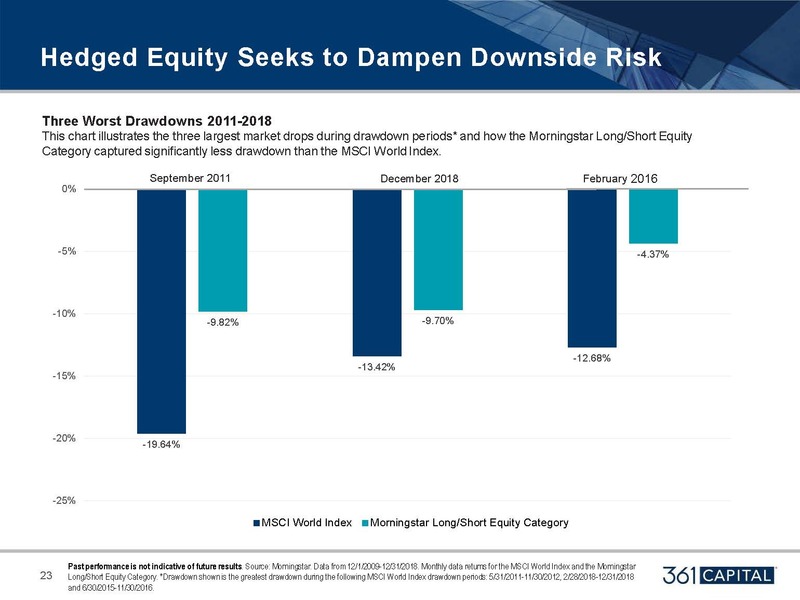 Morningstar Overall Rating™ derived from a weighted average of the fund’s three-, five- and 10-year risk-adjusted returns as of 3/31/19. 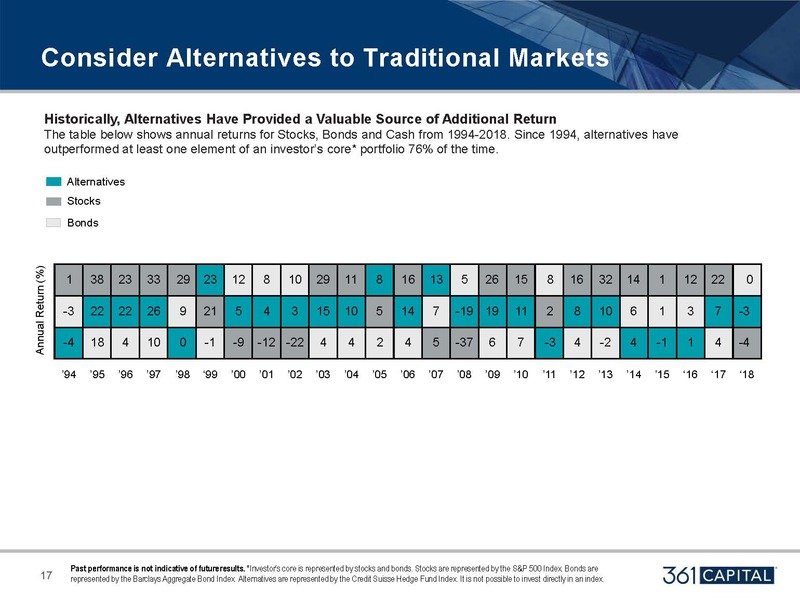 Charts are approved for public use. 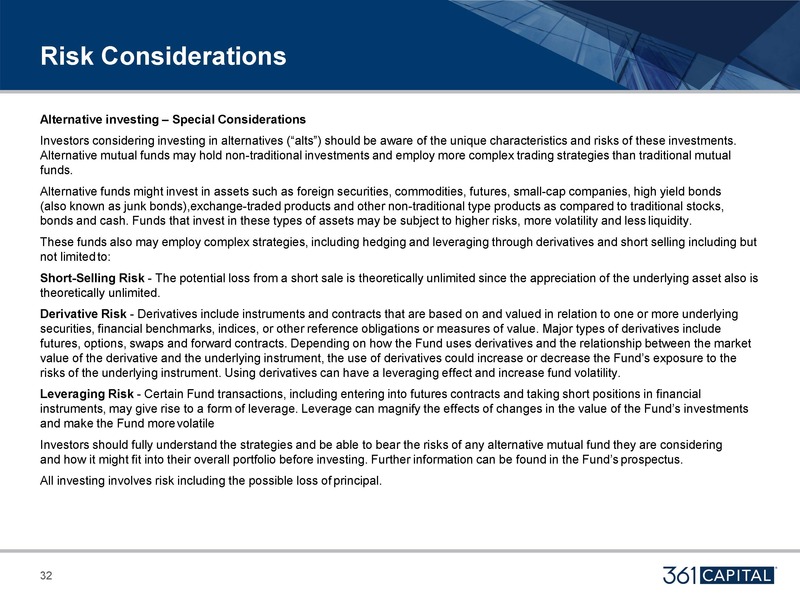 You should consider the Fund’s investment objectives, risks, charges and expenses carefully before investing. 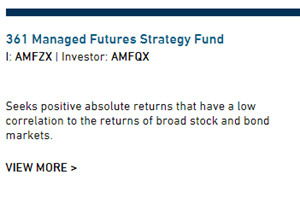 For a prospectus, or summary prospectus, click here. 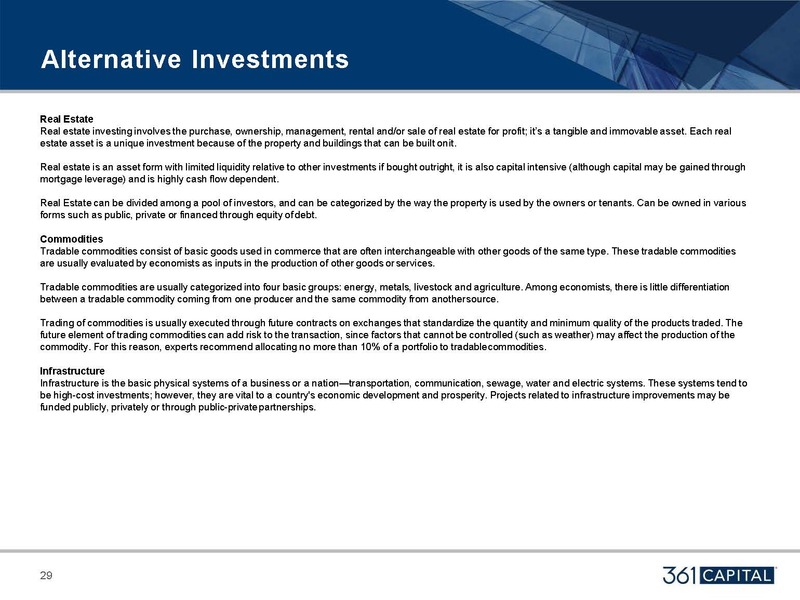 Please read the prospectus or summary prospectus carefully before investing. 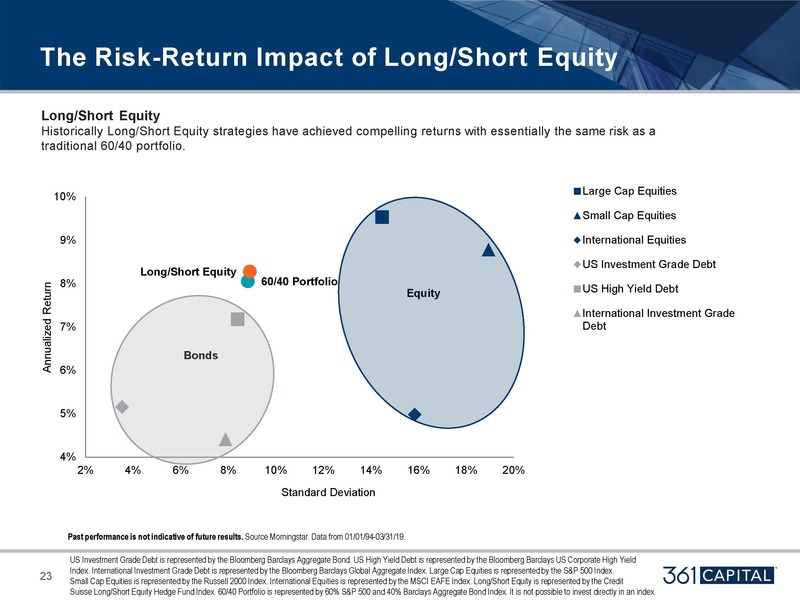 All mutual fund investing involves risk. 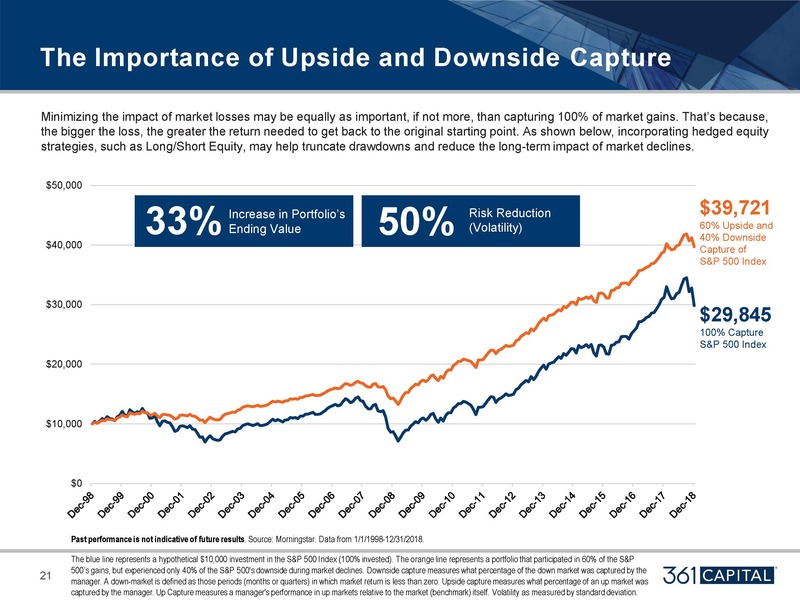 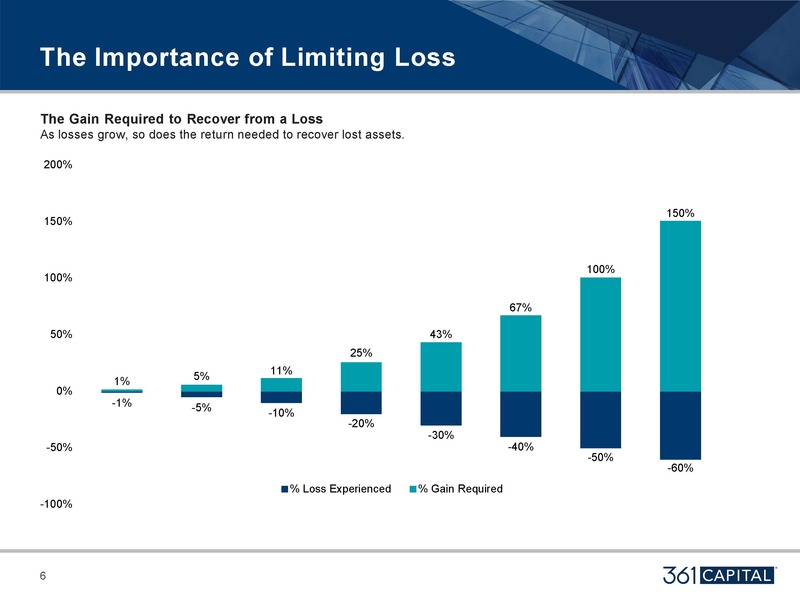 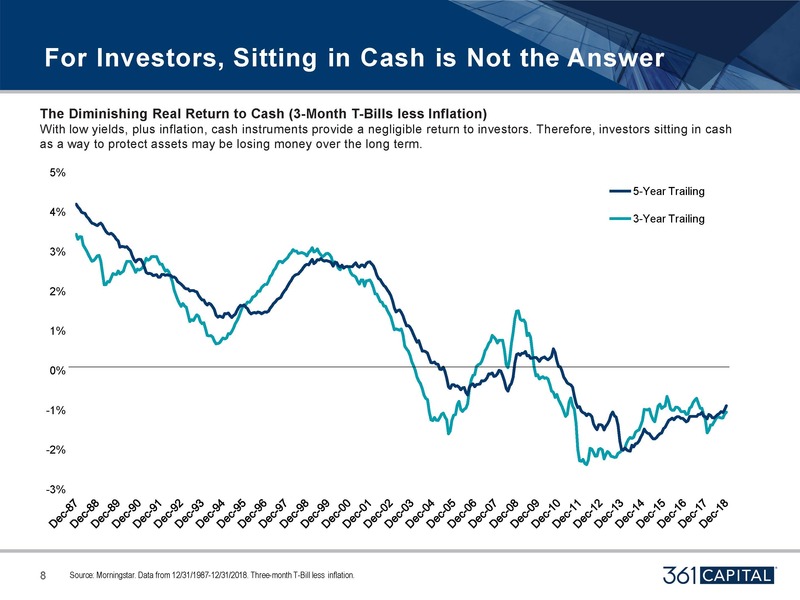 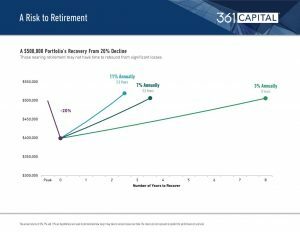 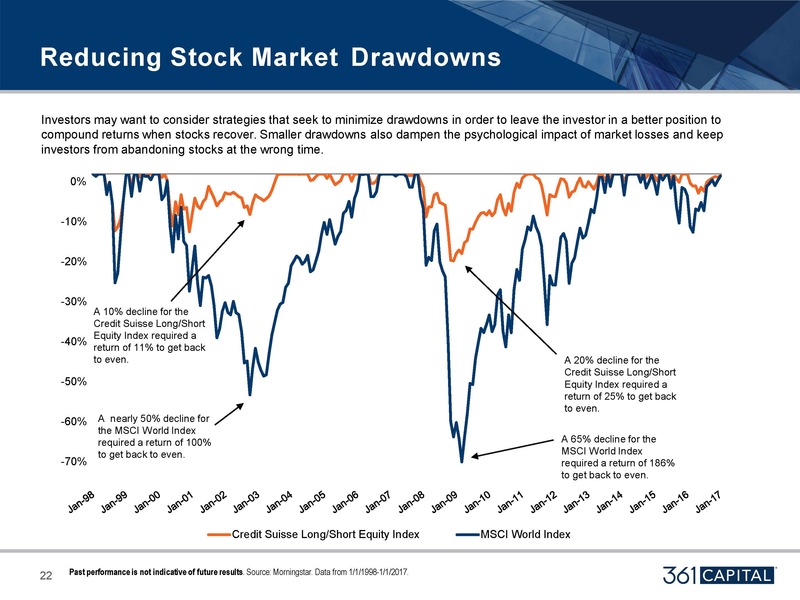 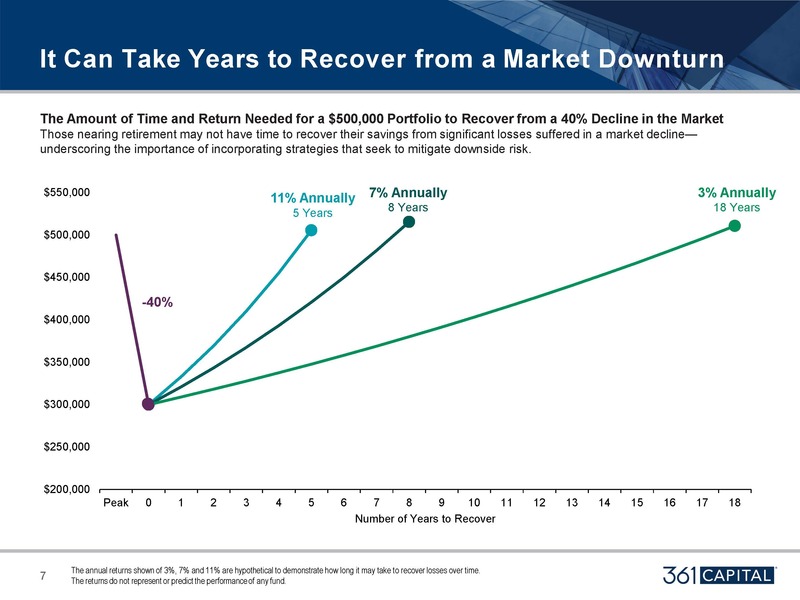 It is possible that investors may lose some or all of their investment. 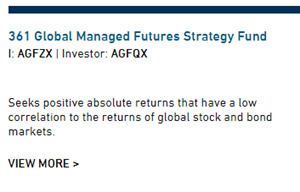 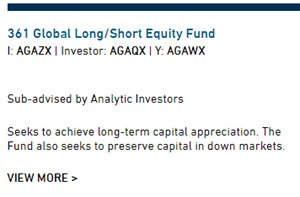 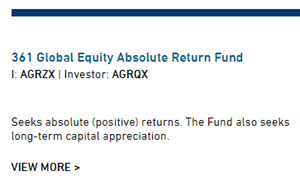 The 361 Global Managed Futures Strategy Fund Class I shares was rated 5 stars for the 3-year period and 4 stars for the 5-year period among 96 and 66 funds, respectively, in the Managed Futures funds category. 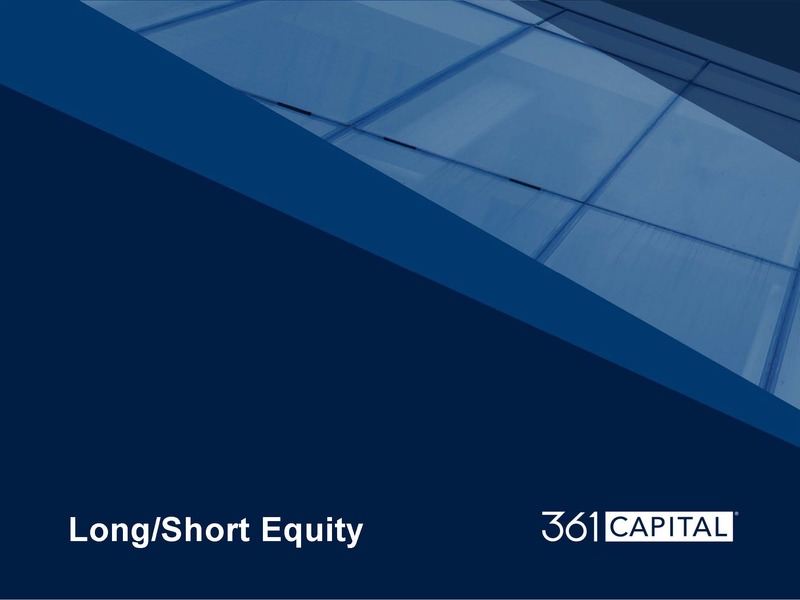 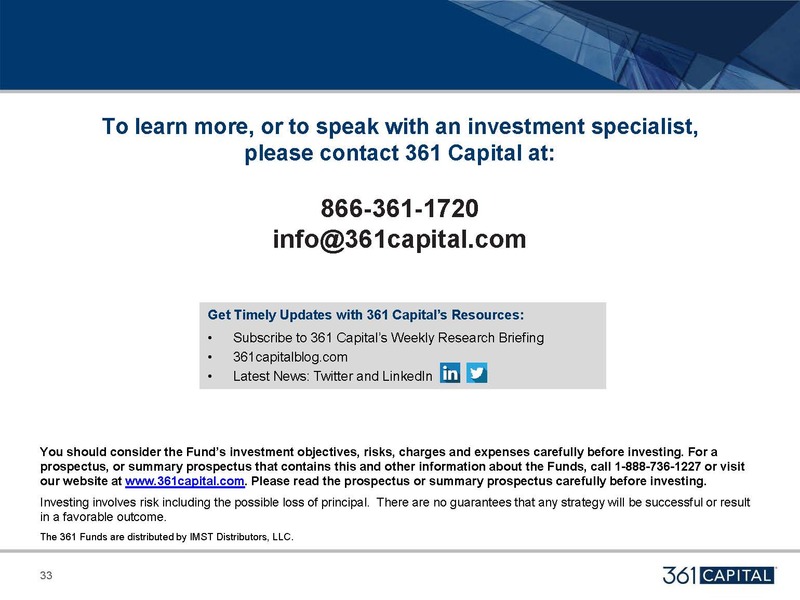 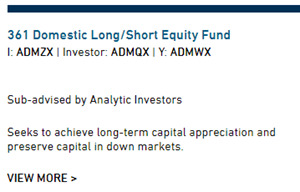 The 361 Managed Futures Strategy Fund Class I shares was rated 5 stars for the 3-year period and 3 stars for the 5-year period among 96 and 66 funds, respectively, in the Managed Futures funds category.